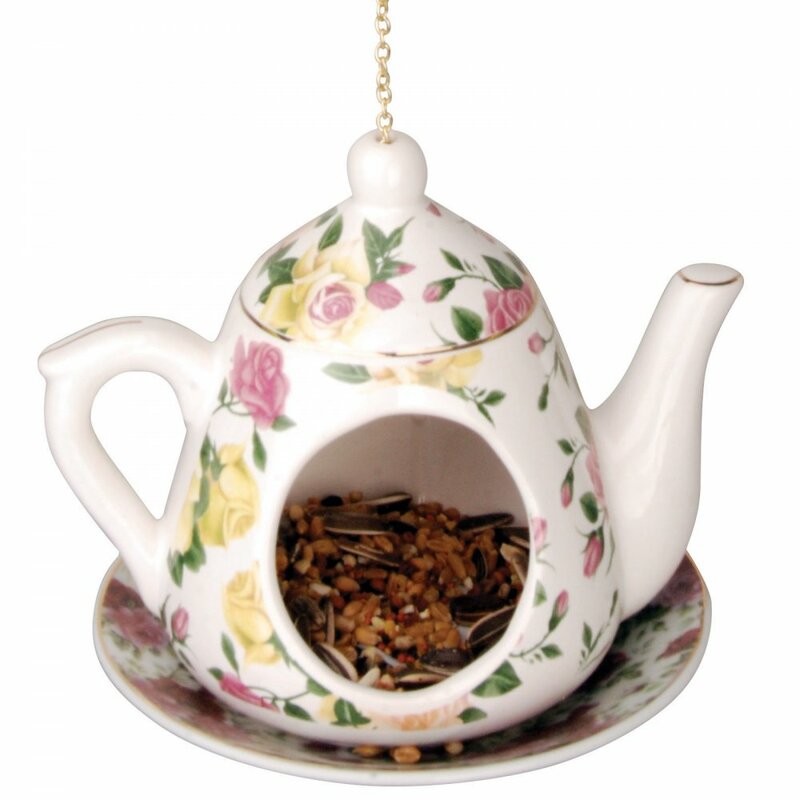 Feed your garden birds in style this season, perfect for your garden trees and patios this stylish teapot feeder will bring colour to your garden. Teapot and saucer may vary in design. A bit about the brand: Fallen Fruits is a garden giftware manufacturer who produce stunning products for use in the the garden and around the home. With Victorian style bird feeders, unique garden furniture, planters, tools and more. Showing 3 Fallen Fruits Teapot Feeder**^ reviews. Average rating of Excellent. Would you like to write a review? Arrived well packaged and in good time. The teapot is lovely and will make an excellent gift. My only grumble would be that the pattern wasn't as shown and is all blue as opposed to looking like roses, but I am sure that it will still be loved when received. Very fast service from Crafty Arts. Unfortunately when I opened the sealed box containing the Teapot Feeder the first thing I noticed was the glaze was chipped at the tip of the spout and also chipped on the pommel of the lid. I will be unable to give the feeder as a gift as planned. I would recommend the product - it is unfortunate that the one I received is damaged.